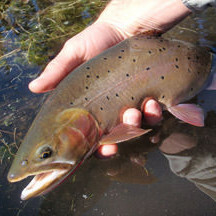 Bonneville Cutthroat are one of our native species. 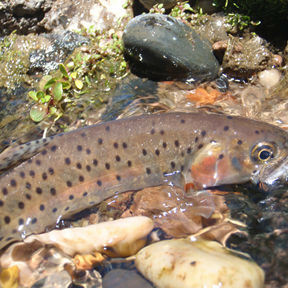 The simplest identification of Bonneville Cutthroat in Southern Utah is not necessarily in being able to distinguish the spot patterns rather in the way the stream drains. 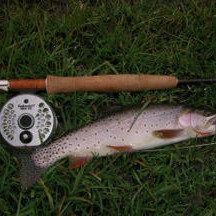 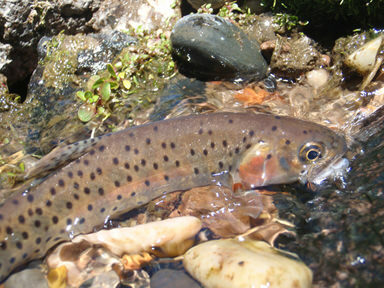 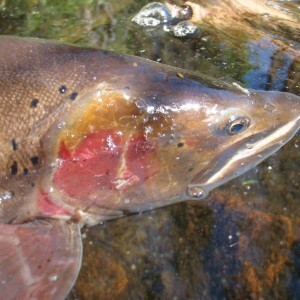 All streams that drain towards the Sevier River including the Sevier River itself , typically contain Bonneville Cutthroat. 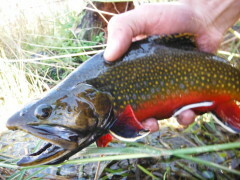 There are still several tiny streams that flow off from the mountains here that contain completely wild native populations of Bonneville. 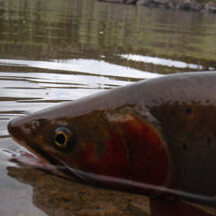 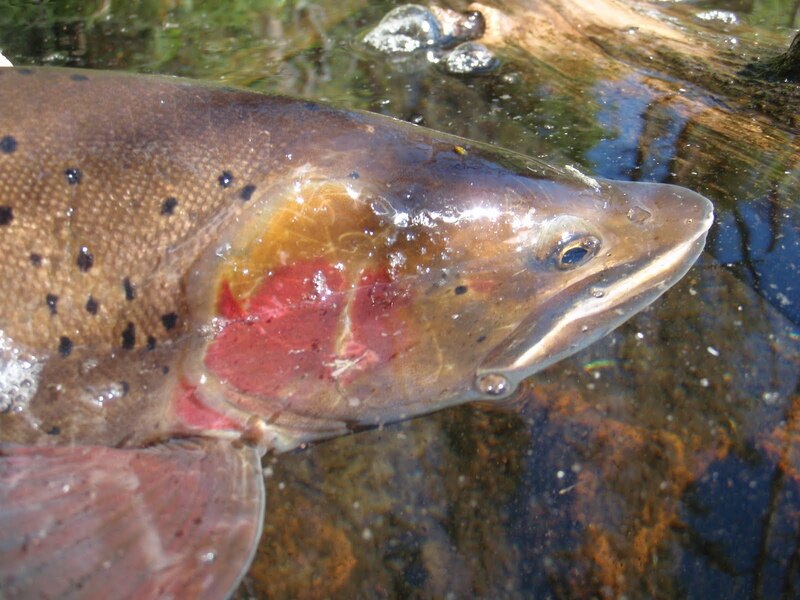 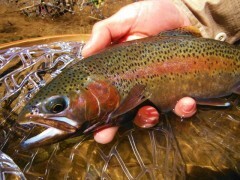 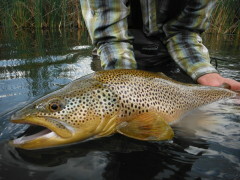 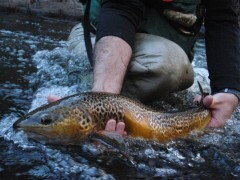 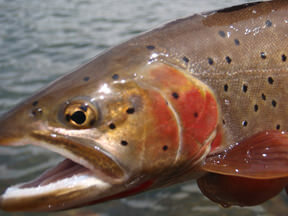 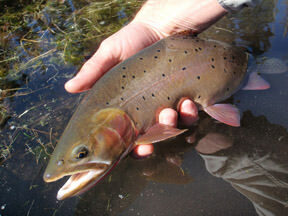 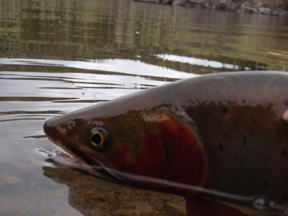 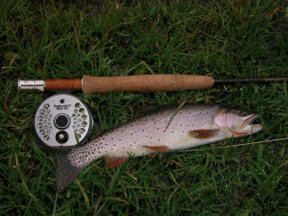 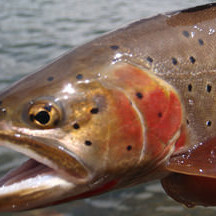 The Fish and Game has taken to stocking some of Boulder Mountain lakes with Bonneville Cutthroat. 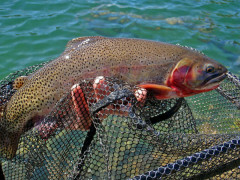 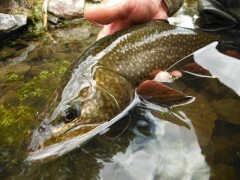 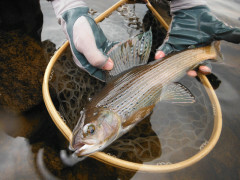 These fish grow to healthy sizes and area often targeted by many anglers.